Merry Christmas from the depths of our being! We wish you a Merry Christmas from the bottom of our hearts and that you can spend the holiday with your loved ones! Of course we also wish you a wonderful start into the new year 2019 and that love, hope, positive wishes as well as their fulfillment and much health may accompany you. Let your light always shine brightly so that others can see their way through your glow. Before the end of this turbulent year we would like to thank you very much for your faithfulness and look forward together with you to an upcoming powerful year full of miracles and as we hope: full of positive events! Now we invite you to check out our January events, because there will certainly be something for you! This experience can change your life through group power. In this intensive edition of Mantra Meditation Group Darkness Retreat, participants undergo deep spiritual energetic processes together in the darkness. The group energy will be exploited by chanting mantras and other spiritual practices and thus reach clear states of consciousness. We will share a wealth of energetic techniques that have been practised and refined in India for a long time. This entry was posted in Events on December 20, 2018 by jennyhumke. The year is coming to an end, and you will find exciting events in our source of power – Spiritbalance Sadhana Ashram in Sasbachwalden. We cordially invite you to our powerful monthly “Full Moon Meditation” and above all to our highlight on New Year’s Eve, to the ” 108 x Hanuman-Chalisa Mantra chant! By the way, you can also find current information on the Spiritbalance Youtube channel, which you are welcome to subscribe to. So you won’t miss any of our videos on current events, travel and spiritual knowledge. If you want to start 2019 with completely new energy …. Come to us to celebrate the Hanuman Chalisa together with us! 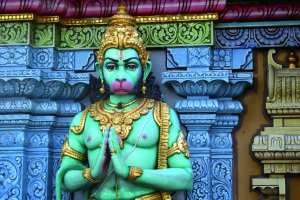 This time the 108 x Hanuman Chalisa will take place differently than usual. Because on this day, the 31.12., 8 darkness retreats will take place simultaneously in our Ashram in Sasbachwalden, so that the atmosphere is charged with a particularly powerful energy. so we’re gonna get an extra helping of energy again. The high energies of our darkness retreat guests together with the energy of Hanuman make this day a special experience. We will recite the Chalisa 108 times, some times loudly (e.g. 7 or 21 times), but most of it will take place in silence this time. Reciting mantras in silence is called “Japa”. This kind of mantra recitation is much more powerful and effective than saying the mantras out loud. This combination of voice and silence will allow us to build up a very strong energy, which leads us to begin 2019 with very powerful divine vibrations. We are very happy when many people come together in our Ashram, musicians are also particularly welcome to support the Chalisa with an instrument. You can find the text of the Hanuman Chalisa here, you can print it and also to recite the Chalisa for you at home. You can also find more info & videos there. This entry was posted in Events on December 12, 2018 by jennyhumke. Life is in motion, and time flies. 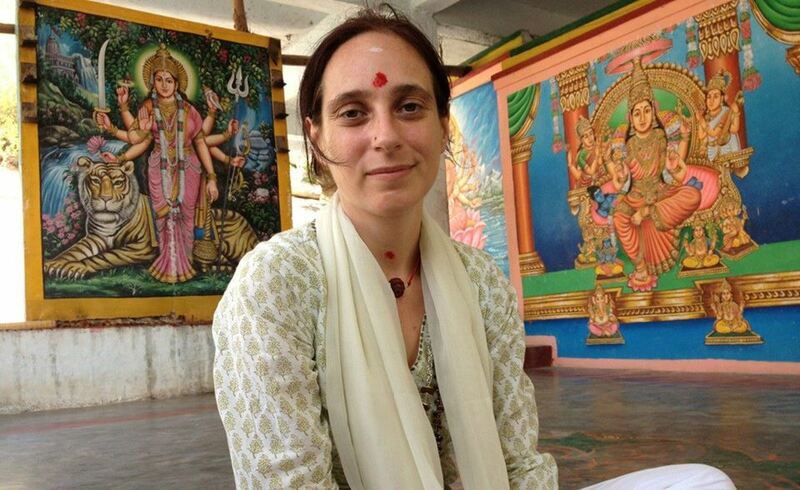 At the moment we are still travelling,are already looking forward to the time we will spend in our Ashram in Germany. Because here it goes on also without us, some wonderful offers expect you in our Ashram in Sasbachwalden. t the beginning of December our raw food Christmas meeting will take place, where we will create wonderful raw food Christmas alternatives together with you. And the highlight in December will as always be the “108x Hanuman-Chalisa on New Year’s Eve! And for all those who still want to be there, we offer the India trip to the festival Shivarari in February, with few free places! 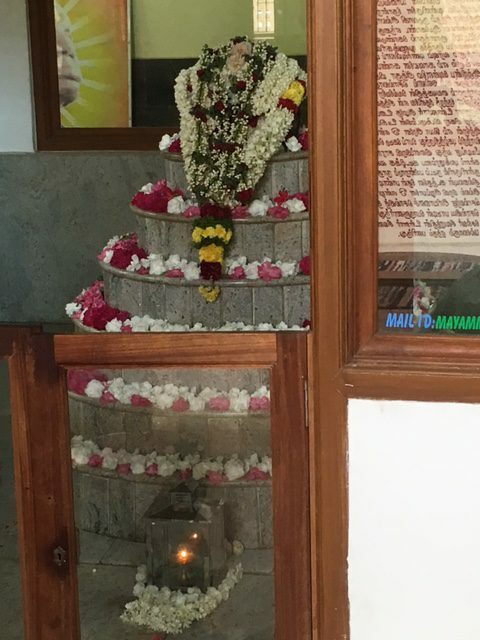 In February we fly bShiva statue in Murudeswaraack to Tiruvannamalai, South India, to celebrate one of the most important holidays in India, the night of Shiva, the Shivaratri Festival. In the days before the event will find intense cleansing rituals, special Pujas as well as encounters with authentic yogis and Sadhus, mystical Indian wisdom is shared. We prepare our personal energy for transformation and positive changes to say goodbye to everything, which prevents us from living our full potential. This wonderful journey and Shivaratri itself take place around the sacred mountain Arunachala in Tiruvannamalai. It is a famous place of pilgrimage, as he carries the energies of Shiva, one of the most powerful in all of India, to celebrate Shivaratri. We still have a few places left, so don’t hesitate and contact us if you want to be there! Soon it will be Christmas, a time to share and celebrate. Probably you prepare for this festive season and fill up your diary with various events, such as family reunions, New Year’s Eve, etc. Make the most of this celebration by indulging yourself with healthy and delicious raw food delicacies! That’s why we invite you to the Christmas Raw Food Meeting, where we’ll work together to delicious dishes to suit the Christmas season. This will certainly Meeting will change something in you, once you’ve tasted the Christmas delicacies. you’ve tried. From raw vegetable biscuits, winter smoothies, to raw vegetable cakes and much more, … Delicacies that will sweeten your Christmas season without being heavy in your stomach. Do you want to start 2019 directly powerful? You have no desire for typical Silverster parties and you’re looking for a spiritual alternative? Then the Hanuman Chalisa is just right for you! The recitation of the Hanuman Chalisa is not only the singing of a mantra, it dissolves negative energies and brings tremendous spiritual powers into our souls. We will start the day before with an introductory seminar by Hanuman, in which I will talk about all the I will share the wisdom I have received from my years in India. Afterwards, on the main day, we continue with the support of the musicians the joint recitation of Hanuman Chalisa 108 times. It will have an enormous impact on all of us. If you play an instrument, please bring it with you and tell my team about it beforehand. the Chalisa is much more powerful when drums, guitars or even a piano are used! 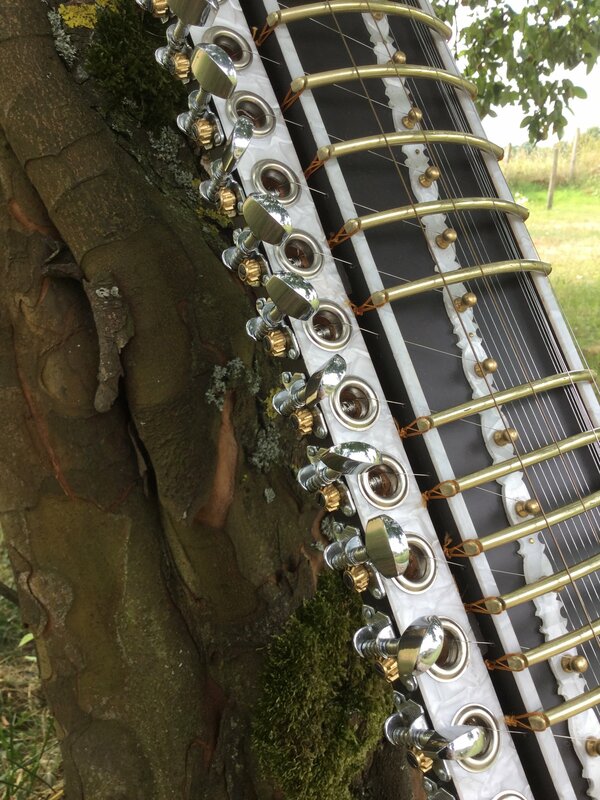 Also harmonium, flutes… just let us know when you will be playing an instrument! We are pleased to offer you this special intensive dark retreat mantra meditation group where you as a participant in the group will go through deep spiritual energy processes in the darkness together. 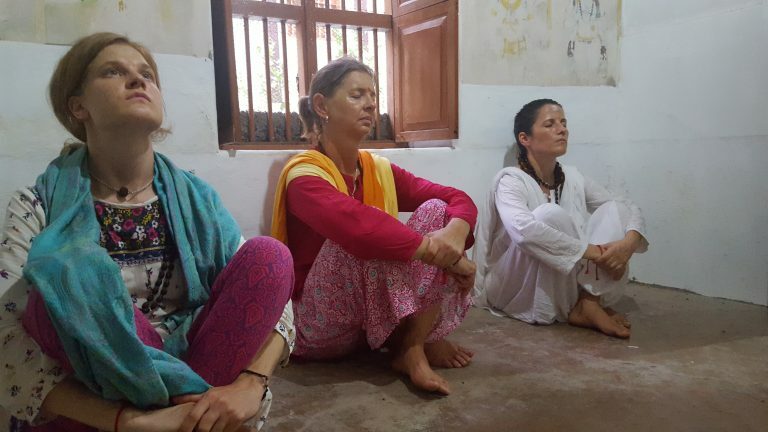 We will share a wealth of mantras and energetic techniques that have long been practiced and developed in India. 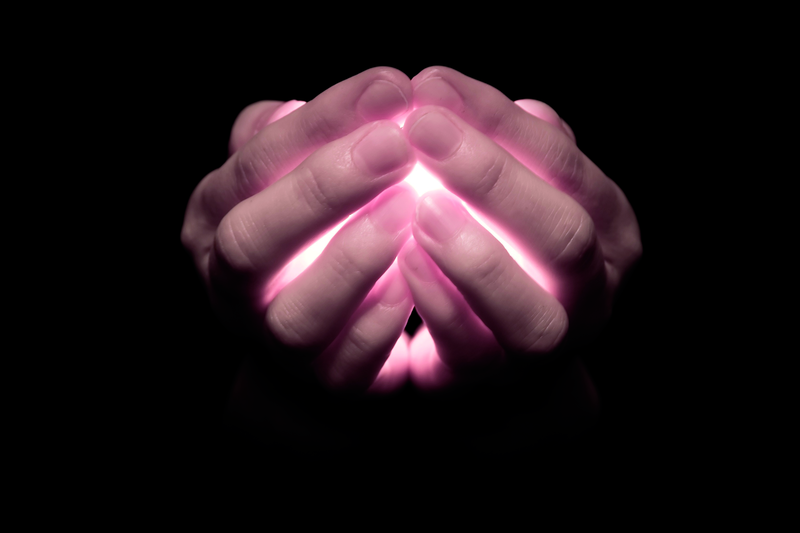 Dark Retreat HandWithout any external stimuli, the inner voice is more powerful because it is clearly connected to the soul. Thus it happens that unique truth and wisdom become conscious in flashes of knowledge. Your inner knowledge is suddenly very clear. Making decisions is suddenly easy, because your own path is clearly ahead of you. Answers to important questions in life suddenly come to us all by themselves. This entry was posted in General on November 20, 2018 by jennyhumke. A new month is beginning that will bring us new insights and experiences. Our trip to India is already over, we are still very inspired by these two wonderful travel groups and the unique moments we shared with our two groups. In our Ashram in Sasbachwalden there is still a lot going on, we are very much looking forward to the next “Gong Meditation” with Nam Hari Singh and his wonderful “Naadyoga Workshop” (also known as Yoga of Sound). Would you like to take your spiritual development to another level? With this very deep gong meditation you go far beyond the relaxation of sound. With its high vibrations, the gong supports you in accepting a higher vibration yourself. The aim of gong meditation is to restore your original state of vibration so that you experience more joy, relaxation and ease in your life. Therefore, in the yogic tradition, the gong is considered to be one of the most powerful shamanic instruments. On this evening the power of the gong will enable a restructuring of the energies and anchored feelings in you. Be there and enjoy the high vibrating frequencies of the gong with Nam Hari Singh. “Everything is sound”, not necessarily with a frequency audible to man, but everything resonates with it. Naadyoga, or Yoga of Sound, is a form of yoga that has been part of the yogic tradition since Vedic times and encompasses the world of sound vibrations in all their aspects. Sound and vibration are used to create specific moods, to heal and to live happier. Thus, through the yoga of sound, we approach the reality that is within ourselves. So in this life experience that we live, we can go on with the accompaniment of sound during the journey. You just have to learn to adjust to this wave frequency that leads us to infinity. Nam Hari teaches you the core of Naayoga with a lot of heart in this workshop and takes you on a wonderful sound journey. Experience a healthy Christmas and still feast, yes, that’s possible! We cordially invite you to the Rohkost Weihnachts Schlemmertreffen, where we will prepare amazing Christmas dishes. Raw vegetable biscuits, winter smoothies, raw vegetable cakes and many delicious dishes and Christmas snacks are waiting for you! Together we will prepare these delicious alternatives this evening – completely vegan and based on the raw food diet. Be inspired by the raw food – because feasting is also healthy, raw and vegan! Learn about traditional Christmas taste in a healthier version! Is this the first time you have heard of the Dark Retreat? Dark retreats, also known as Dark Therapy, Dunkelyoga or Dark Meditation, are an effective way to high-energy spiritual experiences and self-discovery. This entry was posted in Events on November 8, 2018 by jennyhumke. Meanwhile, our Ashram in Sasbachwalden is full of life, starting with our ” Raw food Meeting” where you can learn and share a new way to nourish yourself. 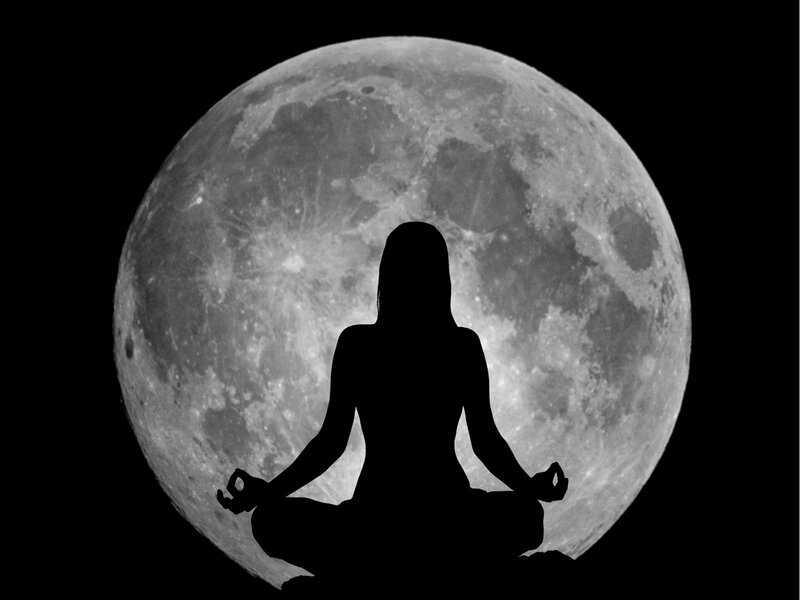 We meet monthly to invoke the power of Full Moon, which is acclaimed all over the world. 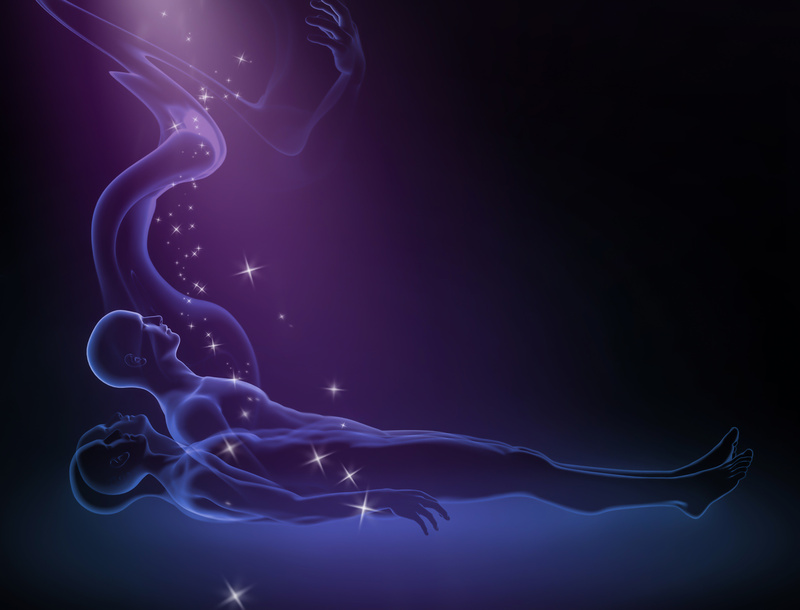 Through a deep group meditation we call upon mystical abilities of connection and deeper understanding. Is time to change. Is time to achieve. 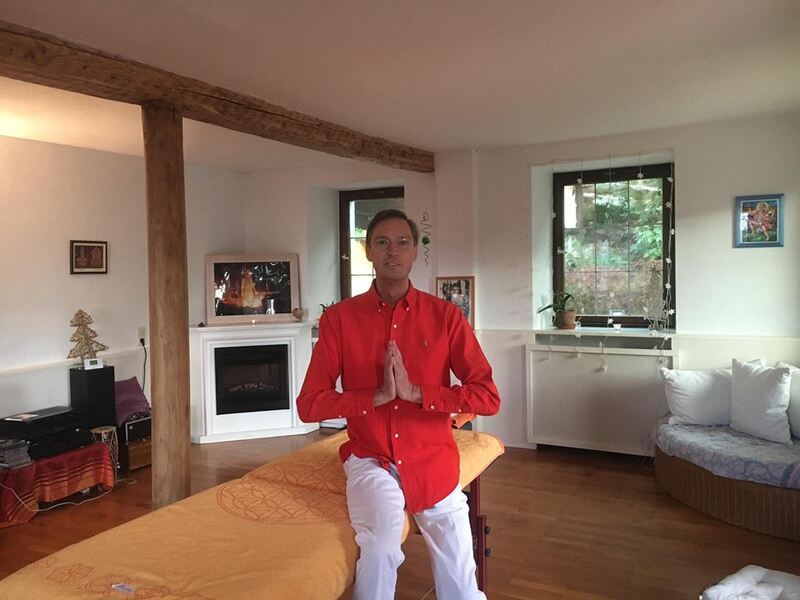 If you are ready to develop a higher state of consciousness, to connect with the astral world, to heal yourself, and continue walking through the spiritual path, come with us to our Magic Spot in Sasbachwalden. You will experience a new way to perceive life. It is not necessary to have any experience of meditation, just an open heart, curiosity and a desire to grow. We will guide you through this rout of discovery. >>> Benefit from the power of Full Moon! 2 November 2018, 19 pm to 21 pm. If you want to get rid of chronic diseases, or just continue your healthy lifestyle with more inspiration and wisdom, come with us and enjoy the power of raw food. You will feel how much your life and the planet can be improved by your eating decisions. >>> Give new inspiration to your diet! Christmas is coming and is time to share and celebrate. But sometimes is difficult to mix a healthy lifestyle with this festivity. 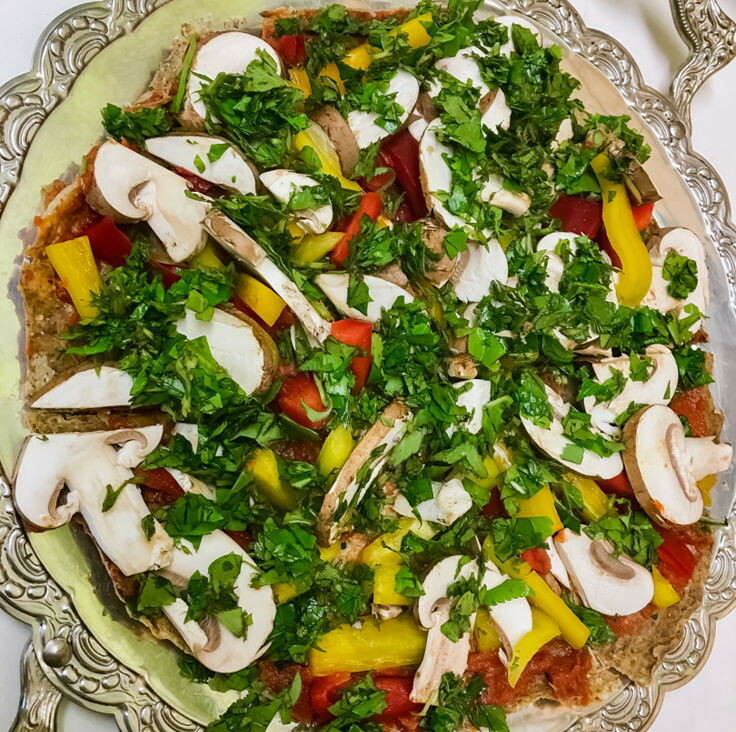 For this reason, we have prepared a special edition of our habitual Raw Food meeting, in which amazing Christmas dishes with its recipes are going to be shared. It will make a shift in your perception of this period of the year. From raw cookies, winter smoothies, cakes and more, that will give you the taste of this celebration without ending the year feeling tired and heavier. Culinary delights and open-hearted people are waiting to you. Is time to celebrate, is time to share, and is time to grow. This entry was posted in Events on October 17, 2018 by jennyhumke. Enjoy our powerfull events in Germany! Our Sadhana Journey to India is coming soon, and careful preparations are taking place in our Ashram in Sasbachwalden, Germany. The team of Spirit Balance is ready to give their best in this month of reinvention and change. Several interesting events are taking place. We start strong with“Straightening and Alignment of the Spine through Spiritual Healing” and “Initiation for Spiritual Alignment Healer”, for those who want to experience not only the power of being healed but also the power of healing others. If you are tired of conventional ways to end the year, with parties, excessive consumption of food, presents, alcohol… And you want to take the first step in January with a fresh and renovated energy, this event is for you! Reciting the Hanuman Chalisa is not just chanting a mantra, it dissolves negative energies and brings tremendous spiritual forces into our souls. We begin the day before with an introductory seminar of Hanuman, in which I will share all the wisdom that I received from my years in India. After it, on the main day, we go ahead with the common recitation of Hanuman Chalisa 108 times with the support of the musicians. It will have a tremendous impact on all of us. After the recitation, we will have an hour of silence to integrate all the mystical energies that we have awakened during the chanting. End the year with the most renovated energy! If you want to get rid of all the old blockages that don’t allow your growth, and have a free flow of energy in your body, alignment is the more successful way to achieve your goals! Through straightening and alignment, you can get rid of the disbalances that you have accumulated in your body. Give it a try, You will not regret it! In the second Workshop of this week, you will learn how to independently perform powerful spiritual spinal alignments. In a perfect mix between Theory and Practice, you will achieve the ability to work in a way that will enable you to be the most skilled professional in this field! Go a step further, make the world a better place, became a healer! This entry was posted in Events on October 2, 2018 by jennyhumke. Today I would like to tell you again about a very special Siddha. Her name is Maya Ma. 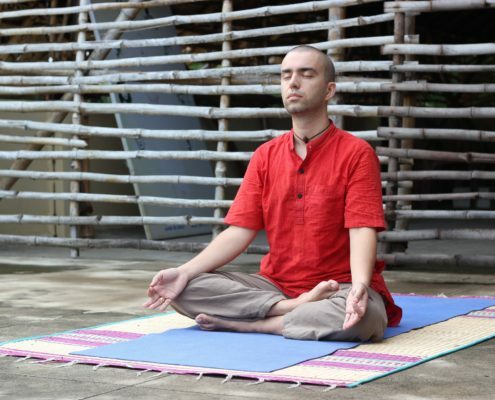 Siddhas are practicing yogis who are well known in India for their extraordinary supernatural powers. These are given to them as a special blessing when they have practiced much spiritual practice and make great progress on their path of liberation. Siddhas can control their body, time, space and the 5 elements. These supernatural forces are not publicly displayed, but are only used when they are really needed. 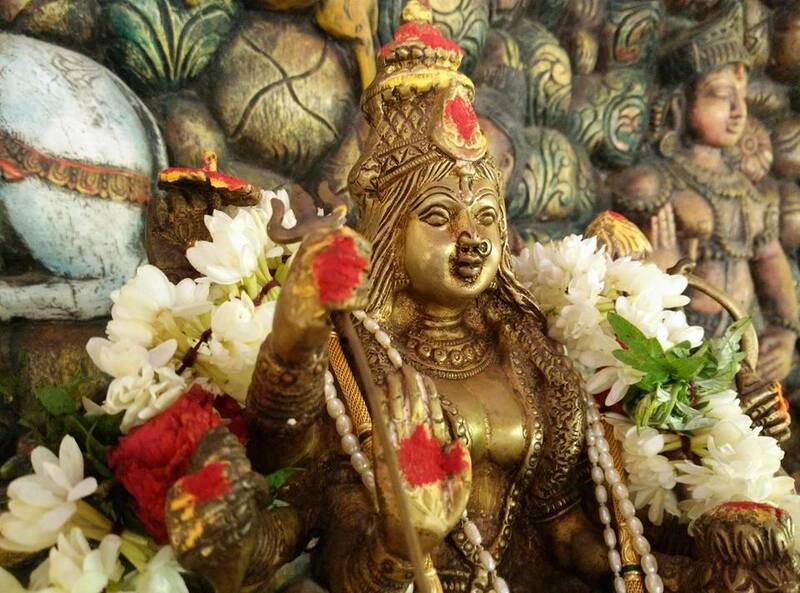 Due to high spiritual energies and channels, Siddha Yogini Maya Ma reached a remarkable 300 years of age. Their name is an expression of their special abilities. Maya Ma means “the one who saw through the illusion.” It was free of material connections and any attachment to the world. As Mahasiddha, she did not need any physical food to keep herself alive. She fed on the spiritual source herself through the light nourishment process. This entry was posted in India on August 23, 2018 by jennyhumke.